For those of you unfamiliar with the work of Chase Atlantic; Mitchel, Clinton and Christian are a three piece alternative, electronic edged band from Australia. It's been a year since their last EP and now they're back with 'Part One' - continuing the smooth beats and emotive vocal from before. The three track piece kicks off with a distant clean guitar tone and echoed vocals on the track 'Right Here'. Typical pulsing drums are added with scratchy clicks to define that chilled beat Chase Atlantic do so well. An almost whispered verse towards the end of the track displays vocal talents and the Aussie accent to add even more of a mellowness to the track. This is intensified with a smooth saxophone solo that brings chills to your spine. The track fades into the next - 'Into It'. 'Into It' bursts into your ears with a myriad of synths and guitar phrases. The dramatic beat from 'Right Here' returns in variation, keeping that foot tapping, body swaying vibe. Huge drops and echoed vocals give the track depth and provide a dark rhythm while another saxophone solo links the tracks of the EP together. This seamlessly flows into final track 'Church' - an unapologetic anthem. 'Church' builds upon the established dark, laid back vibe but with one hundred times more intensity in both the vocal and instrumentation. Some may say 'Part One' leads Chase Atlantic into a different direction than their previous music - a new era perhaps. 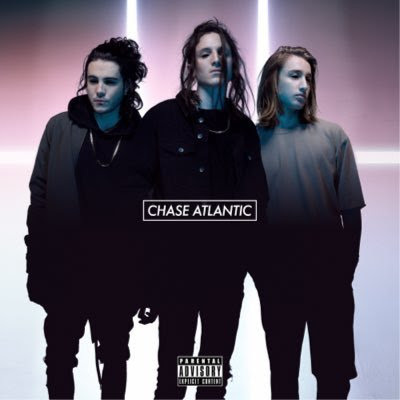 Read our review of Chase Atlantic's 2014 EP 'Dalliance' here.